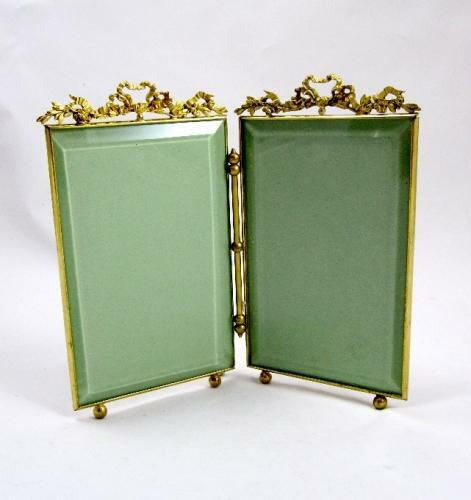 Antique Napoleon III Dore Bronze Double Frame with Dore Bronze Bow Top. Can be Hung on the Wall as it has 2 Hoops on the Back. Can be Displayed oOpen as it has a Little Foot at the Back. Can also be Displayed Slightly Closed.